Alaska has abundant coal reserves, but production remains low in comparison to the extraction of the state’s natural gas and petroleum resources. Coal extraction accounts for about 20 percent of the entire mining industry in Alaska. In 2004, the state produced approximately 1.5 million short tons of coal worth approximately $30 million dollars, which ranked it 23rd in the nation in coal production. All of this coal comes from the only active coal mine in Alaska, the Usibelli mine. Founded in 1943 outside Healy, Alaska, the mine sells coal to six state power plants as well as South Korea and other Pacific Rim countries. The export coal is transported on the Alaska Railroad about 300 miles to Seward, a year-round ice-free port. Alaska relies more heavily on natural gas than coal for power generation. In 2004, the state consumed 393,000 short tons of coal for electrical power to produce only 9 percent of its electricity. Alaska has the 7th highest average retail price of electricity at 12.84 cents per kilowatt hour. In 2003, Alaska emitted 45 million metric tons of carbon dioxide emissions, ranking it 37th in the nation overall. While the state’s CO2 emissions are relatively low compared to other states, Alaska received the top ranking for per-person transportation emissions. Read more about the Alaska and coal at CoalSwarm. This article uses content from the CoalSwarm article “Alaska and coal” on the SourceWatch wiki. The material is provided under the terms of the GNU Free Documentation License 1.3. The Wishbone Hill Coal Mine is a proposed mine site in the Matanuska Valley approximately 5 miles west of Sutton, AK. It is estimated to contain 14 million tons of bituminous coal. At this time a permit to explore the site has been issued by the Alaska DNR; that permit has been appealed by several local organizations. The Chuitna coal prospect is a proposal by PacRim Coal to build a large strip mine on the western side of Cook Inlet, near the Chuitna River and the communities of Tyonek and Beluga. If built, the project is expected to employ around 350 people, and provide over 350 million dollars in tax revenue to the state of Alaska and the Kenai Peninsula Borough over 25 years. The proposal is opposed by many local residents and environmental groups – who are concerned about the project’s local impact on fish, wildlife, and human health, and about the global impact of increased coal use. The proposal is in an advanced permitting stage, but PacRim has yet to submit a final Supplemental Environmental Impact Statement ( SEIS ) or permit applications. 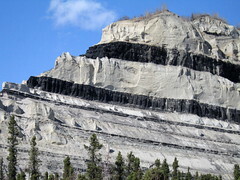 Read more about the Chuitna Coal Mine on Ground Truth Trekking. A photoset by Russ Maddox of the harbor area of Seward, Alaska after a windstorm on December 19, 2010. Coal dust from the Seward deep-water loading facility coated the area. Web page by the US Energy Information Administration summarizing energy consumption, production and prices for the state of Alaska. Information about the proposed Tyonek Coal-To-Liquids (CTL) plant in Cook Inlet. The Alaska DNR page summarizing a petition from January 2010 to declare the Chuit River Watershed area unsuitable for coal mining. 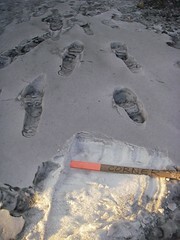 The petition was found by the Alaska DNR to be complete in February 2010. At this point, no public hearings have been set. The Alaska DNR page summarizing a petition from May 2010 to declare the Wishbone Hill area unsuitable for coal mining. The petition was found by the Alaska DNR to be incomplete and was rejected. 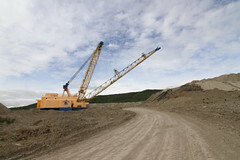 This page by the Alaska DNR contains information about the status of the permits for the proposed Wishbone Hill mines. This page summarizes all coal mining regulatory activity for the Alaska Department of Natural Resources. Ground Truth Trekking is based on the belief that expeditions to see what’s on the ground help us learn about important issues. We combine that “ground truth” with “researched truth,” using our scientific backgrounds along with our adventures to come up with something we hope will further the conversation about these issues in an entertaining and informative way. Of course, we can’t hope to be experts on everything, so we focus most of our efforts on natural resource issues in Alaska. Read the story of our founding on Ground Truth Trekking’s blog. Our mission is to provide people with the knowledge they need to make smart decisions about these issues, now and into the future. Our vision for this website is to create a place for virtual exploration, where people can learn about the issues, see photos, read stories, see maps, and be both informed and entertained. Learn more about Ground Truth Trekking at their website. The Chuitna Citizens Coalition and Cook Inletkeeper have followed a suit claiming that the Alaska Department of Natural Resources has ignored their 2009 application for water rights on the Middle Creek tributary while processing a 2010 application granting the Chuitna coal mine group rights to use water for drilling groundwater monitoring wells. The CCC’s application requests the right to use the majority of Middle Creek water for salmon spawning and fishing; the Chuitna coal mine proposes burying 11 miles of Middle Creek for 25 years as part of its normal operations, so if the CCC application is granted, the mine would be forced to come up with an alternative plan for mining, something it says it can’t do. Attorney Valerie Brown for the CCC said state’s position is that applying for water rights isn’t enough for the coalition to be have standing on issues of water rights; they must first be granted such rights. Yet, she says, the state refuses to process the coalition’s application and furthermore there are hundreds of similar cases across the state. The ADNR, for its part, says that it works with Alaska Fish and Wildlife to prioritize applications for water rights so as to process them in order of importance not by who filed first. “At this time, there are other in-stream flow applications that are ahead of these three applications in the agency review process,” said ADNR spokesperson Elizabeth Bluemink. The proposed Wishbone Hill coal mine that is being proposed by the owners of the Usibelli Coal Mine has hit yet another delay as the company has pulled its request for an air quality permit for a second time. With Wishbone Hill, Usibelli is proposing a new mining in the Matanuska Valley that would produce 500 thousand tons of coal a year to ship overseas to Asian countries. Opponents of the mine have expressed concern that there are more than 100 homes within a mile of where the trucks hauling coal from the mine will drive, as well as local geography that will funnel any fugitive dust into the residential areas. Usibelli says that the permit was pulled when the state Department of Environmental Conservation requested more data about the fugitive dust that would result from the mine and transport of the coal, but characterizes the move as part of the normal give and take associated with obtaining an environmental permit. On Friday, the Alaska Mental Health Trust Authority agreed to allow 11487 acres of land near Chickaloon to be leased for coal mine exploration. In return, the Authority will get annual lease payments of $45948 as well as 5% of the gross profit of any coal that is eventually mined from the site. These payments will help the AMHTA deliver more treatments in-state for people with mental health, head injuries and similar medical conditions. The Athabascan Ahtna indigenous peoples of Alaska have filed a complaint against the Usibelli Coal Mine with the Organization for Economic Cooperation and Development alleging that Usibelli’s exploration activities are disturbing their ancestral lands. Because the exploration permits are more than 20 years ago, they allow Usibelli to explore areas that have been inhabited in the intervening decades. As an example, Usibelli has built a road to support the exploration that is 100 yards from the tribal council school. A lawsuit against the Seward Coal Loading Terminal alleging Clean Air Act violations for fugitive coal dust will be allowed to proceed. The lawsuit, filed by Trustees for Alaska on behalf of the Sierra Club, Alaska Center for the Environment and Alaska Community Action on Toxins, claims that coal dust exiting the coal piles and conveyor belts spreads widely into Resurrection Bay and that coal dust on snow on the land is being improperly disposed of and is ending up in the bay as well. The loading terminal was originally built in 1984 as an economic development project to sell coal to world markets. Last July it was fined $220,000 for its fugitive coal dust emissions; most of that fine was directed towards reducing those emissions. According to Alaska Railcorp, one of the owners of the terminals, an additional $540,000 in improvements are planned for 2011 to increase dust surpression. 150 people showed up at a public hearing in Kenai held by the Alaska Department of Natural Resources to determine whether the land of the proposed Chuitna coal mine should be declared unsuitable for mining. Among the crowd were recreational and commercial fishermen, lodge owners and Alaska Native subsistence users. Concerns centered primarily on the plan to completely bury 11 miles of prime salmon streams for up to 25 years while the coal is being mined out. “I’ve looked at many, many projects of this magnitude, and none of them have been able to restore the environment back to the original conditions,” said Debbie Oudiz, a Homer resident and retired environmental toxicologist who worked for the California Environmental Protection Agency for more than 25 years. The Usibelli Coal Mine has reached a settlement with the EPA to resolve numerous Clean Water Act violations. From April 2007 to July 2010, Usibelli was accused of eleven unpermitted discharges into neighboring waters, as well as exceeding the allowed levels of discharges in another ten cases. “By simply using and maintaining best management practices, we believe this penalty could have been avoided. Mining responsibly means making water quality protection a top priority.” said Mr. Edward Kowalski, Director of EPA’s Regional Office of Compliance and Enforcement. A federal judge has ruled that the coal-dust lawsuit can proceed against the Seward coal loading facility. Filed by the Alaska Community Action on Toxics and the Alaska chapter of the Sierra Club, the suit alleges that improper containment allow coal and coal dust to fall and blow off the conveyors and stockpiles, ending up in the bay, on boats and on buildings and streets in neighboring communities. While Alaska Railroad and Aurora Energy Services have paid fines that top $200,000 and made attempts to contain the pollution, the coal dust just seems to keep coming, such as during a four-day wind storm that began on December 18, 2010. Webcams photographing the coal piles show clouds of dust blowing into the air; other video and still photographs show coal dust throughout Seward. Permits 01-89-796 & 02-89-796. Published August 24, 2011. Part A – Application and Mine Site Identification. Part B – Legal, Financial and Compliance Information. Part D – Operation and Reclamation Plan. Part D Appendices – – Operation and Reclamation Plan Appendices. Part E – Special Categories of Mining. The Technical Analysis Report and Draft Air Quality Control Minor Source Permit AQ1227MSS03 for the Wishbone Hill Coal Mining and Processing Operation adjacent to the Usibelli Coal Mine. Both documents issued August 18, 2011. The Technical Analysis Report for the Usibelli Coal Preparation Plant, permit AQ0317MSS03. Subtitled “Revise Use of Blended Fuels for PM Emissions.” Document issued March 6, 2009. The following documents are all related to the renewal of the exploration permit for the proposed Chuitna coal mine. All were released to the public on 9-21-2010.